Dr Michael Crameri graduated in 1985 from Monash University with a Bachelor of Medicine/Bachelor of Surgery degree. He spent time doing obstetric training in England and moved to Drouin in 1991. He joined Bank Place Medical Centre and became a partner in 1993. He has remained there since and with Dr Rayner planned and oversaw the development of the new purpose built premises in 2011. 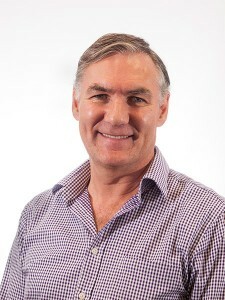 Dr Crameri received fellowship from the Royal Australian College of General Practice in 1994 and also holds a Diploma in Obstetrics from the Royal Australian and New Zealand College of Obstetricians and Gynaecologists. He has admitting rights at West Gippsland Hospital for obstetrics and general medical care. Dr Crameri’s medical interests are obstetrics, paediatrics, travel and occupational health. He is supervisor and teacher of medical students from Monash University and medical registrars with Southern General Practice Training. He is also a registered yellow fever and Q fever vaccinator. When not at work Dr Crameri likes to relax by cycling or flyfishing. 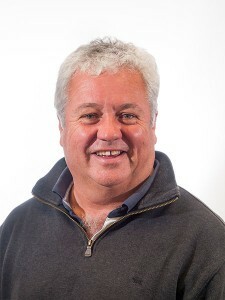 Dr Mark Rayner graduated in medicine in 1982 from Monash University with a Bachelor of Medicine, Bachelor of Surgery and has been in general practice since 1985. Dr Rayner practiced in Lakes Entrance for 10 years, he then moved to the area and joined Bank Place Medical Centre in 1996 and became a partner in 1997. He has a Diploma in Obstetrics from the Royal Australian College of Gynecologists and Obstetricians; but no long practices. Dr Rayner’s special interests include asthma, the aged and palliative care. He is a supervisor and teacher, training medical students and registrars. 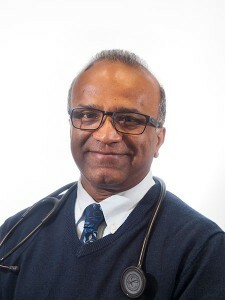 Dr Marlon Fernando has been practicing medicine since 1990 after graduating from Monash University with a Double degree – Bachelor of Science (Hons) and Bachelor of Medicine/Bachelor of Surgery (Hons). Dr Fernando practiced in Neerim South before commencing at Bank Place Medical Centre in 2013. He also currently works in the Emergency Department at The Valley Hospital. 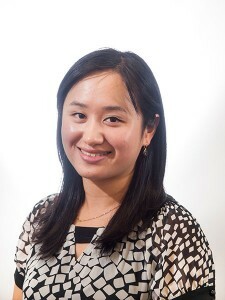 Dr Lisa Zeng graduated from Monash University with a Bachelor of Medicine/Bachelor of Surgery in 2008. Dr Zeng started as a resident doctor at Peninsula Health before commencing at Bank Place Medical Centre as a GP registrar in 2012. Dr Zeng became a Fellow of the Royal Australian College of General Practitioners in 2015 and has a Diploma in Obstetrics from the Royal Australian College of Gynecologists and Obstetricians. Dr Zeng speaks English and Mandarin. Her specialist interests are obstetrics and adolescent health. Dr Arti Inamdar graduated from Mumbai University with a Bachelor of Medicine/Bachelor of Surgery in 1995 and has been practicing medicine in Australia since 2013. Her specialist interests include womens health and paediatrics. Dr Inamdar will be available for appointments on Monday and Friday. Gihan is a General Practice Registrar with Eastern Victoria GP Training Programme, and the Royal Australian College of General Practitioners. Gihan brings 6 years of hospital and community-based experience and is passionate about utilising his skillset to become a positive contributor to the Drouin, Warragul and wider Gippsland community we serve. Gihan completed his medical degree at the University of Notre Dame – Sydney in 2012. Subsequently, he has had the opportunity to practice in the rural and metropolitan setting at Ballarat Base Hospital and Monash Health. He also completed placements in Trauma and Orthopaedic Surgery at University of Cambridge – UK, and Community Eye Health in Patna, India. Prior to commencing medicine, he completed a Bachelor’s degree in Biomedical Science at Monash University – Clayton in 2006, and worked as a Medical Researcher at the National Ageing Research Institute (University of Melbourne), where he had the opportunity to strengthen his research skills. Over the past few years he has been involved in a number of research studies producing publications, books, various conference presentations and an iPad app on Anatomy. His recent work in diabetic retinopathy was presented at RACGP Conference for General Practice in Perth. His special interests include Preventative Care, Paediatrics, Eye Health and Medical Informatics. Outside medicine, Gihan loves spending time with his family, travelling and exploring cultures and food, and is an avid lover of coffee. Dr Natalie Niap will be joining us at the start of February 2019. She is a first year registrar and will be available for appointments from Monday to Thursday.